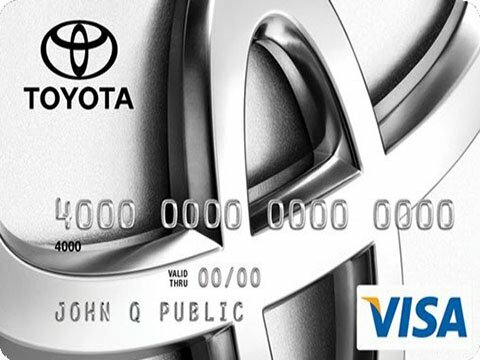 Get the card that rewards you simply for doing the things you love – The Toyota Rewards Visa. Every purchase you make earns you points redeemable toward Toyota service, parts and accessories at participating Toyota dealerships. You can even redeem points toward an eligible vehicle purchase or lease. How do you want to be rewarded? 1On approved credit. You must have a valid permanent home address in the 50 United States or the District of Columbia. Terms, conditions and restrictions apply and are fully described in the Toyota Rewards Visa Cardmember Agreement and the Toyota Rewards Program Terms and Conditions received with your card. Points earned are based on net purchases. Points earning maximums apply and points will expire as described in the Rewards Terms and Conditions. Redemption only available at participating Toyota dealerships in the continental U.S. and Alaska. Points cannot be redeemed for cash. Please contact your participating Toyota dealer for information regarding restrictions your dealer may impose on the use of credit cards, especially as it relates to vehicle purchases or leases. The creditor and issuer of the Toyota Rewards Visa is Toyota Financial Savings Bank. Toyota Financial Services is a service mark of Toyota Financial Savings Bank.